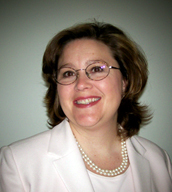 Dr. Susan W. Mills is the Director of Music Education in the Hayes School of Music at Appalachian State University. Her career is focused on the development of music education that is relevant, balanced, and inclusive of both the classical and folk music traditions. She was a 2014-15 American Council on Education Fellow, in residency at the University of South Florida St. Petersburg. In 2010, Dr. Mills was awarded a Fulbright Fellowship for her work with the Freedom and Folk Song traditions in South Africa, where she lectured and conducted research and community service in partnership with the University of Zululand and the University of the Free State. She is a 2007 recipient of the Digital Sound Archives/Appalachian Music Fellowship of Berea College. In addition to multicultural music education, Dr. Mills has woven service learning and teacher education research into her career as a K-12 general and choral music specialist since 1989. She continues in her quest for quality folk music by obtaining experience for herself and her students with several master musicians from world cultures including Azerbaijan, The British Isles, Canada, Cuba, Haiti, Hungary, Ghana, New Zealand, Puerto Rico, South Africa, Southern Appalachia, and the U.S. Gulf Coast. Her performance career spans 30 years playing and singing American Folk, Bluegrass, Country, Reggae, Rock and Cajun music. Dr. Mills is an active clinician and guest conductor for multicultural music in many classrooms and choirs and school districts choral festivals. Articles and chapters authored by Dr. Mills have appeared in The International Journal of Community Music, General Music Today, The Mountain Lake Reader, The International Journal of Education and the Arts, The International Journal of Music Education, The Orff Echo, Maryland Music Educator, The North Carolina Music Educator, Encyclopedia of American Folklife, Resources in Education, Musicians and Composers of the Twentieth Century, Florida Educational Leadership, and The Kodaly Society of Ontario Newsletter. Previous teaching experience includes two years as Visiting Assistant Professor at the University of Central Florida and six years as Music Education Coordinator and Associate Chair of Performing Arts at Frostburg State University, in addition to seven years as a K-8 general and choral music teacher in Winter Park, Florida. Dr. Mills earned both the Doctorate in Curriculum and Instruction and the Master of Arts in Music Education degrees from the University of Central Florida.